If you have never seen or used a Thermomix ®, you’ll be amazed at how much it can do. In addition to being incredibly simple to use, it’s also so powerful and flexible that the creative possibilities seem endless. One small compact unit with the ability to perform the functions of twelve appliances. 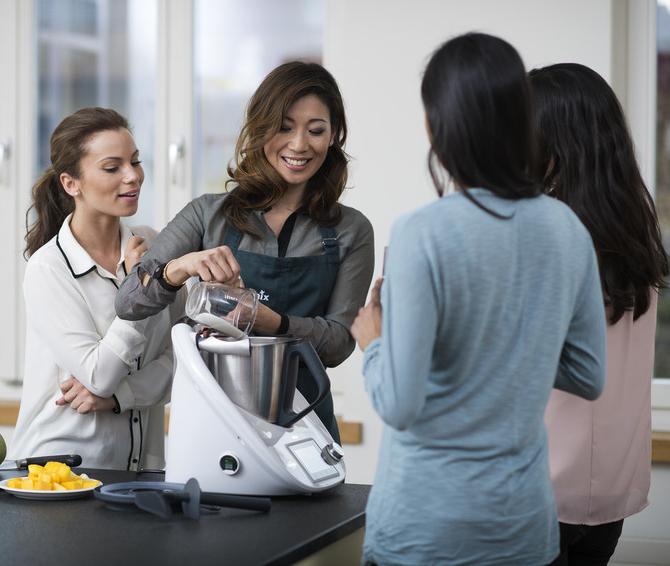 With so much to learn about, booking a Thermomix ® Demo is the best way to learn more. Please contact us and we will ask your local Advisor to arrange a Thermomix ® demonstration for you at a mutually convenient time (at home, at work or at another venue). Locations, dates, and times can all be discussed directly with the demonstrator. if you want to invite a friend or family member, you can do it. Thermomix ® Demonstrations are available for residents of Thailand in Bangkok, provided by a local Independent Thermomix ® Advisor.